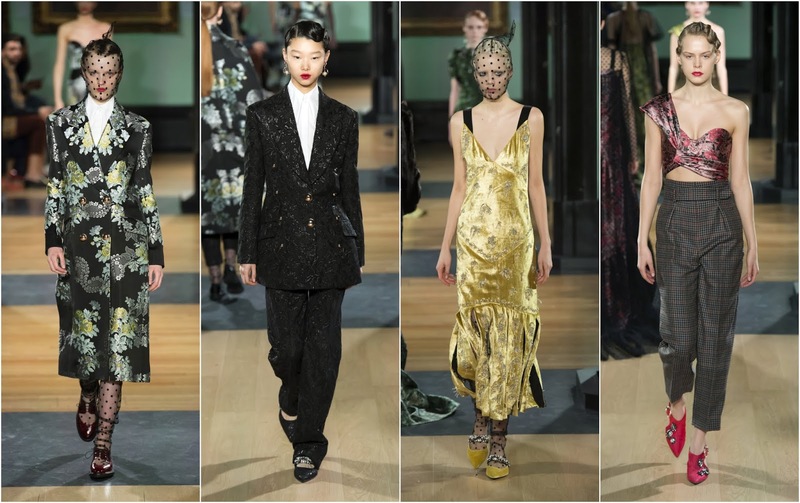 The first thing to note about Erdem Moralioglu’s Fall presentation at London Fashion Week in February was the setting: The designer moved out of the Old Selfridge’s Hotel, a venue he used for many years, and into the National Portrait Gallery. It felt like a homecoming. 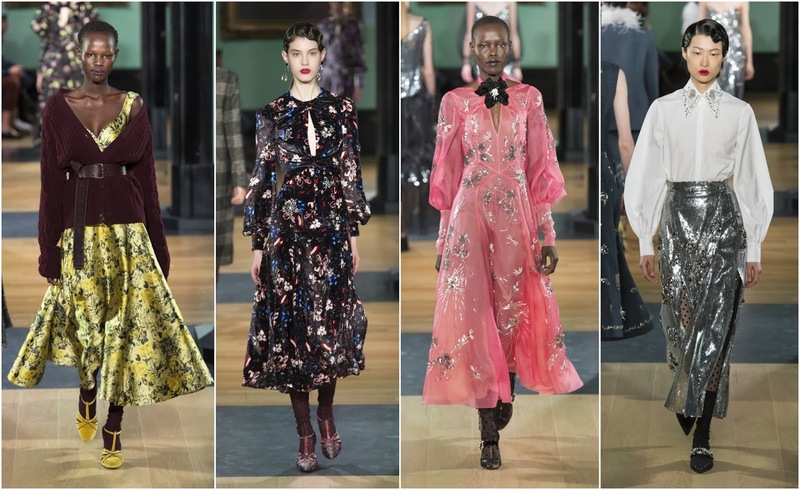 Erdem’s well-to-do muse and historical romanticism felt fully-realised in the venue, models meandering rooms replete with 18th and 19th century portraiture. Erdem’s shows are underscored by his approach to historicism but this season he was firmly set on modernising, updating the codes of wardrobe past. Whose? Adele Astaire. Adele Astaire was an American stage actress, dancer and singer from Omaha, Nebraska. She is the older sister of Fred Astaire. Their auspicious beginnings led them to New York where they had a successful vaudeville act which segued to time on Broadway. But Fred didn’t interest the designer as much as Adele. The actress married British aristocracy, Lord Charles Cavendish. Although they lived at Lismore Castle, Waterford, in Ireland, the family seat was Chatsworth House in Derbyshire. The stately home, nestled in the Derbyshire Dales, played host to an exhibition which Erdem visited last year, House Style: Five Centuries of Fashion, curated by Vogue’s Hamish Bowles. Included in the exhibition were many of Astaire’s belongings—her clothes, her copies of Vogue. This struck Erdem as he trawled through Astaire’s personal archive, imagining her modern wardrobe, conflating the 1910s, 1920s and 1930s. In typical Erdem fashion, there was his usual array of florid floral frocks in velvet and brocade, on prim and proper dresses that are likely to cater to the royal contingency who frequently wear his clothes. (Evidently, his ability to explore high society dressing is remarkable.) He had something for the modern day Astaire too, in sweeping gowns and shimmering dresses. He emphasised tailoring this season, a subtle departure from his usual offering. There was strong suiting on display—double-breasted coats; calf-grazing trousers and and boxy jackets. The harder, masculine elements of the Erdem woman’s wardrobe contrasted nicely with the subtlety and properness of his feminine influences. It can be easy to tack the #MeToo movement onto many a collection nowadays but it’s rather timely to consider fearless independence in a moment when the ghettoisation of women is coming to an end and the can-do attitude is bubbling to the fore. Perhaps that’s why he had Felicity Jones, Laura Carmichael, Ruth Wilson, and Haim, the band, front row. He was envisioning the next generation of trendsetters and trailblazers.